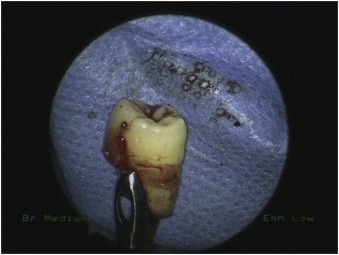 Dentigerous cysts are the second most common form of benign odontogenic cysts. These cysts are commonly single lesions. Bilateral and multiple dentigerous cysts are very rare. This article, published in the International Journal of Surgery Case Reports presents a rare case report of bilateral dentigerous cysts associated with two ectopic teeth located atypically in the maxillary sinuses in a 19-year-old male manifesting as bilateral upper jaw pain, post-nasal discharge and recurrent sinusitis which was managed via the endonasal endoscopic approach by enucleation of the cysts and teeth removal. • Dentigerous cysts are commonly single lesions. Bilateral and multiple dentigerous cysts are very rare. 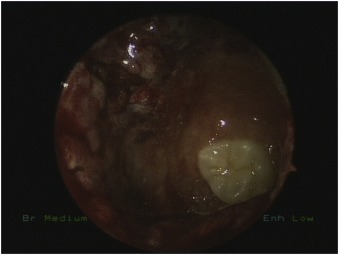 • Ectopic tooth eruption outside the oral cavity is a rare entity. 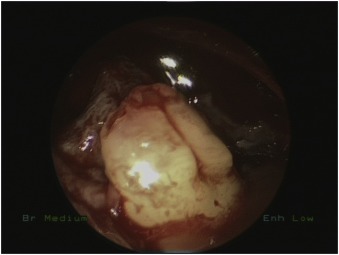 • The endonasal endoscopic approach has the advantages of avoiding external mucosal incision, oroantral fistula formation and recurrent sinusitis.